Two ARM Cortex-A9 Single Board Computers Z-turn Board and Rico Board are available Now! Shenzhen, China - March 1, 2015 - MYIR has released two new ARM Cortex-A9 Single Board Computers at the beginning of the new year which we called Z-turn Board and Rico Board. 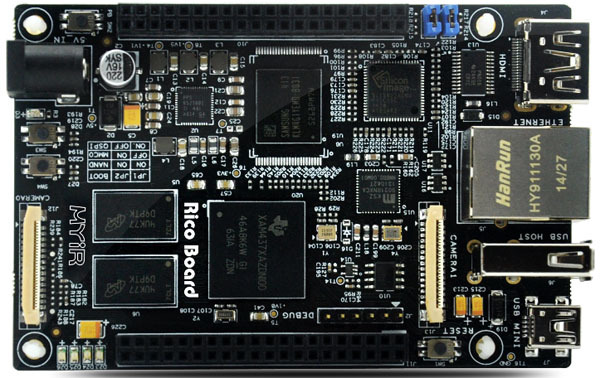 The Rico Board is an excellent high-performance Single Board Computer using the newest TI’s AM437x Sitara ARM Cortex-A9 based solution. It has 512MB DDR3, 4GB eMMC Flash, 16MB QSPI Flash and 32KB EEPROM on board, featuring various peripherals like Debug Serial, USB, Gigabit Ethernet, Dual-Camera, TF, HDMI, LCD and etc. It is preloaded with Linux and supplied with optional 7-inch LCD Module including capacitive touch screen. Both of the two boards are compact in size. 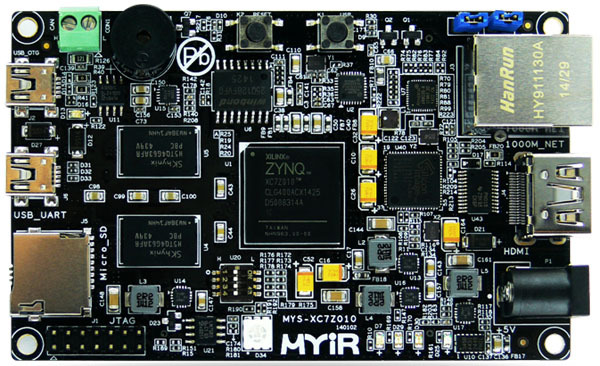 MYIR offers Ultra low cost ONLY USD99/pc for the single Z-turn Board or Rico Board.